Hypotension, or low blood pressure, can be a serious and life-threatening problem if not treated. If blood pressure drops too low, a person can feel dizzy or faint. According to the Mayo Clinic, a blood pressure reading of 90 millimeters of mercury (mm Hg) or less systolic blood pressure, or 60 mm Hg or less diastolic blood pressure, is considered low blood pressure. Treatment of low blood pressure depends on the cause, but adding salt or caffeine to your diet may help to increase your blood pressure. Consult with your physician before trying to treat your low blood pressure by any means. Schedule an appointment with your physician before making any dietary changes. Many things can cause low blood pressure including certain medications. Mix a half-teaspoon of table salt into an 8-oz. glass of water to make salt water. Drink one glass a day to increase salt intake and raise your blood pressure. Add sports drinks, like Gatorade or Powerade, to your diet. These drinks contain sodium and will help raise your blood pressure. Drink caffeinated beverages like coffee, tea or soda in small, but regular amounts. Add a cup of caffeinated beverage to each meal to boost your blood pressure. Continue to drink eight glasses of water a day. Dehydration is one cause of hypotension, according to Medline Plus. Increasing your fluid intake helps to raise your blood pressure. Excessive amounts of caffeine can cause dehydration. 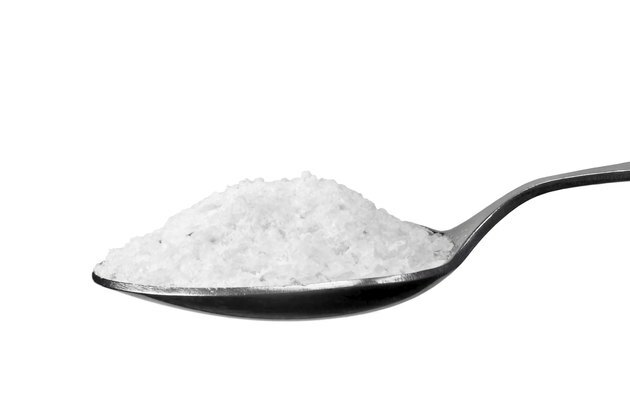 High sodium consumption can raise your blood pressure to unsafe levels, which can lead to a stroke or heart attack. National Heart, Lung and Blood Institute: How Is Hypotension Treated?